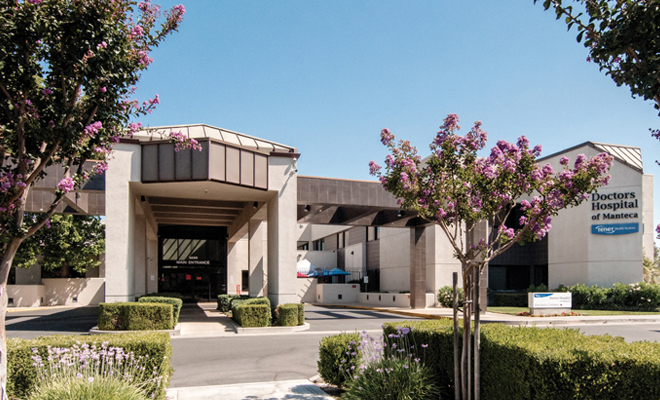 Doctors Hospital of Manteca strives to offer patients state-of-the-art technology through establishing programs and partnerships that allow patients to receive the care they need without having to travel for specialized testing. “My goal is to lead Doctors Hospital of Manteca to new heights in providing the highest quality and safest care,” Brandon May, Chief Executive Officer affirmed. “We want to strategize and develop programs that will help keep patients close to home for specialized care and treatment. Patients who suffer a stroke can be assured that they can receive the care they need locally, thanks to Doctors Hospital of Manteca’s accreditations that further solidify the fast response patients receive. DHM holds an Advanced Certification as a Primary Stroke Center, earning The Joint Commission’s Gold Seal of Approval and the American Heart Association/American Stroke Association’s Heart-Check mark. The hospital recently earned the Get with The Guidelines – Stroke Gold Plus Quality Achievement Award. “Our emergency room has always been able to receive emergent stroke patients for immediate treatment; however, we have taken additional measures to create a more comprehensive care environment for emergent stroke patients,” Brandon reported. In the event of a stroke, time is of the utmost importance. Every second that goes by after a patient suffers a stroke contributes to the probability of irreversible damage to the brain. To provide the highest level of care for patients who have suffered a stroke or other neurological issues, Doctors Hospital of Manteca has developed an advanced teleneurology program. This program was made possible through a partnership with the University of California, San Francisco; it allows physicians to consult in real time with a remote neurologist via a dedicated computer link with UCSF on a computer that travels with physicians from room to room. “Doctors Hospital of Manteca has taken significant measures for our community to ensure that we can be a first point of acute care for patients suffering from a stroke. By maintaining the standards of a Primary Stroke Center, we are held to higher standards such as quicker response times. This allows us to keep our patients close to home near their support system,” confirmed Brandon. To learn more about the advanced options available at Doctors Hospital of Manteca, visit doctorsmanteca.com.